Squash come in a wide array of colors, sizes and textures. 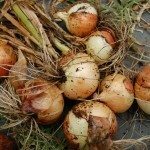 There are very soft and very hard skinned varieties, with smooth, ridged and warty shells. The most common and versatile squash are the zucchini and yellow summer squash varieties. While yellow, bumpy squash occur when summer varieties are left on the vine too long, there are other reasons for bumpy squash. Normally smooth zucchini and other varieties can produce a squash that is warty looking due to several diseases and pest problems. Why is My Squash Bumpy? You are in the zucchini patch and see that the squash is warty looking and knotty. This leads to the question, why is my squash bumpy? Squash are cucurbits and fall in a family that includes cucumbers, melons and pumpkins. Fruits in the cucurbit family are plagued by several different viruses, which can cause lumpy squash plants. Usually the foliage goes unaffected for quite some time, while the forming fruits get knots and bumps in the skin. The texture of smooth skinned squashes is rough and patchy. Some of the diseases that cause these symptoms are viruses found in soil and some come from insect vectors. 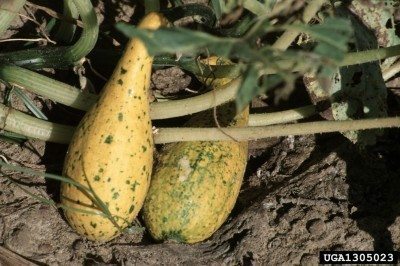 Rapid growth, boring insects and excess calcium in soil may contribute to lumpy squash plants. 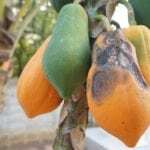 However, the majority of these fruit deformities are the result of a mosaic virus. 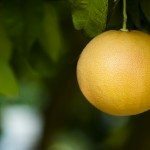 There are many types of mosaic strains that occur in different fruit families. The cucumber mosaic virus is the variety that most commonly attacks the cucurbit family. There is also the watermelon mosaic, papaya ring spot and zucchini yellow mosaic. Cucumber mosaic affects summer squash and produces raised, yellow bumpy squash and warty regions on the fruit’s skin. Watermelon mosaic affects both winter and summer squash. Summer squash get green overgrowths on the exterior, while winter squash grow knobby protrusions. Papaya ring spot produces malformations on the skin with color breaks over the surface. Zucchini yellow mosaic affects zucchini and results in distorted fruits and the squash is warty looking. The only sure way to prevent your squash crop from getting one of the viruses is to purchase resistant seed or starts. You can also make sure you plant before the aphid season, as these little pests are vectors of some diseases. Control weeds, apply mulch and take excellent care of the plants to give them enough vigor to withstand disease. You can also avoid some transmission by washing tools used around the squash patch and planting a wheat or grain crop around the squash plot. This gives aphids something else to munch on and they may wipe the virus off on the cover crop rather than the squash.